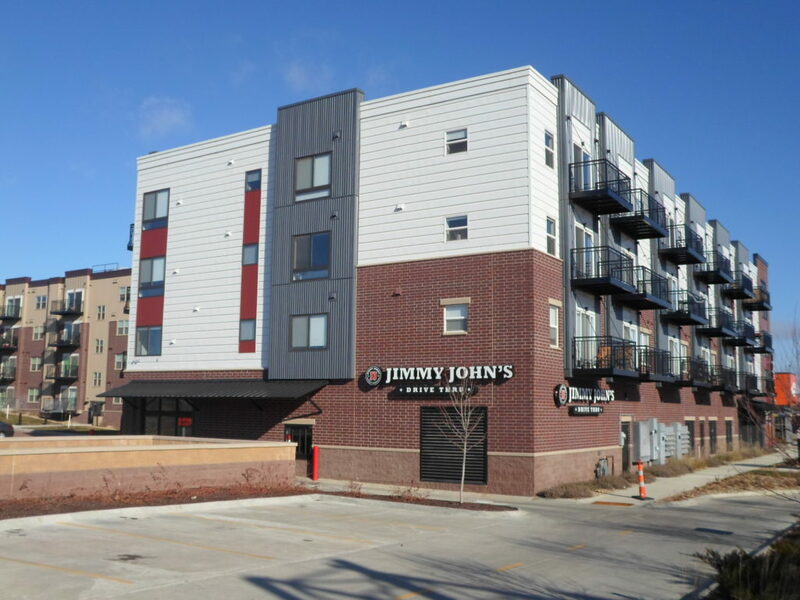 A Jimmy John’s has opened as part of the Grand Crossings project at 21 West Jefferson Street. The restaurant is one of several commercial tenant spaces located on the ground level of the mixed-use building. The upper three floors are reserved for residential condominium units. The site is a former dairy equipment manufacturer and most recently contained a blighted hotel. The City of Waterloo aggressively acquired the declining property in 2010 after completing Phase I and II environmental site assessments under its EPA Brownfields Grants. The high-profile campus has dramatically changed the City’s skyline along U.S. Highway 218. Please visit https://thegrandcrossing.com/ for more information.